What's Happening on the Ranch? 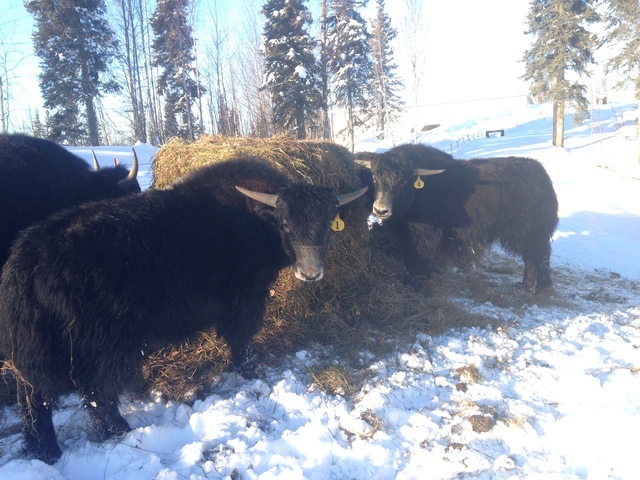 We are in the transitioning stage of selling our yak meat from the Ranch. 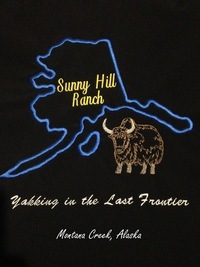 We are in the process of setting up our store here on the website so we may better serve our local Alaskan community. 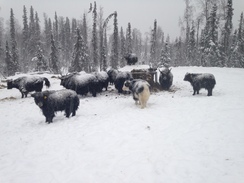 Our desire from the beginning was to provide a local alternative for fresh meat. Over 90% of Alaska's food is shipped from outside. We are seeking to change that one yak at a time. Our Spring hay pasture clearing project is already under way while we have a break in the cold weather. 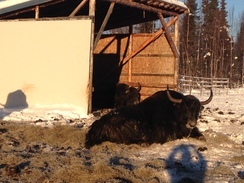 Our mamas are in the pasture behind the house going into their 3rd trimester of pregnancy. As we see their bellies grow we look forward to meeting the new calves they will have in the spring starting around April 10th. Last years crop of babies gave us 3 girls and 5 boys. 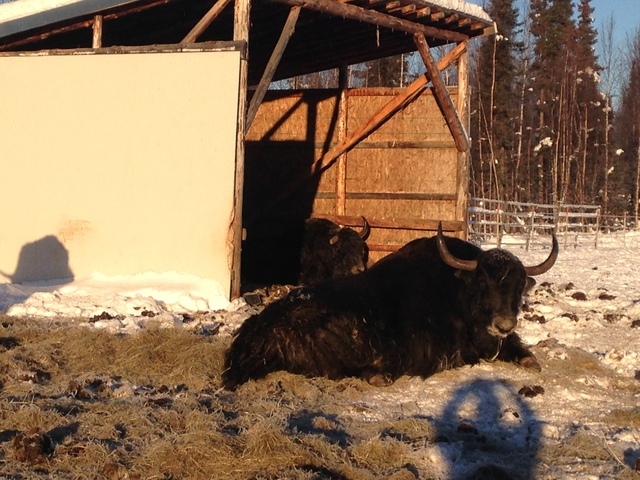 Our bulls are just hanging out in their pasture being lazy and waiting for breeding season to start. Don't forget to stop by for a visit on Facebook as we post pictures and videos regularly.